Receive a minimum of $500 OFF and financing; if you are graduating within the next six months or have graduated within the past 24 months! Please contact the Sales Department for further Qualifications. While the program applies to all Used and New ’17, ’18 Model Years, the $500 Bonus is ONLY APPLICABLE towards New Vehicles. NOT APPLICABLE towards the VW Golf R.
*All prices plus Tax, DMV and $85 Documentation Fee. All advertised interest rates are subject to buyer qualification. All vehicle specifications, prices and equipment are subject to change without notice. See above for information on purchase financing and lease program expiration dates. Prices and payments (including the amount down payment) do not include tax, titles, tags, documentation charges, emissions testing charges, or other fees required by law or lending organizations. The estimated payments may not include upfront finance charges that must be paid to be eligible for the purchase financing program used to estimate the APR and payments. Listed Annual Percentage Rates are provided for the selected purchase financing or lease programs available on the current date. Program expiration dates reflect currently announced program end dates, but these programs are subject to change at any time. All APR and Lease offers are on credit approval only. 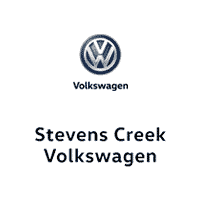 ** Please note that Stevens Creek Volkswagen Strives always to have complete and correct pricing, fees and offers, equipment, options and images on all our vehicles but due to the fact that there are several technology softwares and portals that are used to update our sites and Stevens Creek is not liable for incorrect information being shown on our website and or 2nd or 3rd party digital sites, even though we make every effort to catch any errors that there may be, and get them corrected asap, we again will not be held liable for any errors. We appreciate your interest in our inventory, and apologize we do not have model details displaying on the website at this time. Please fill the form out below and our team will quickly respond, or, please call us at (669) 220-1934 for more information.